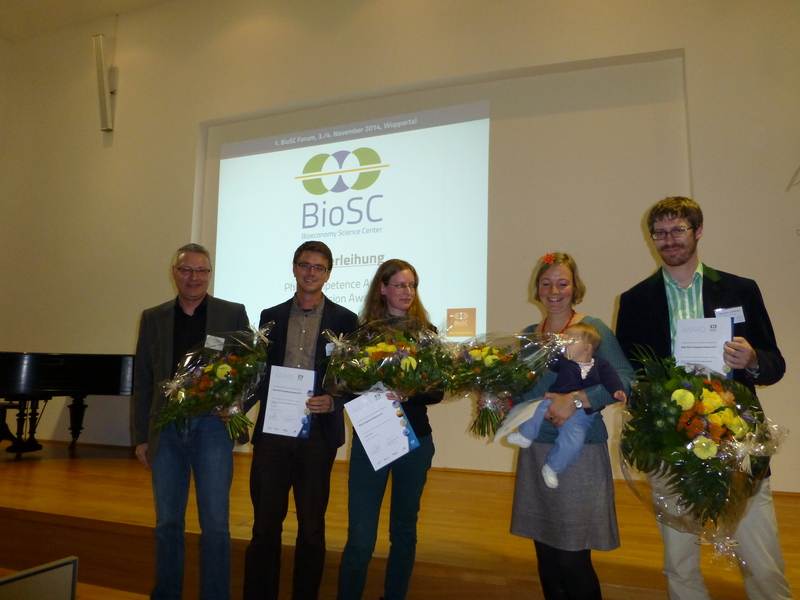 With the Supervision Award, the Bioeconomy Science Center (BioSC) honors young academics for special achievements with regard to the quality of their supervision service for doctoral students. A panel of recognized scientists will select the three best applicants based on the submitted applications. The expert committee decides primarily on the basis of the excellent support and the ability of the scientists to motivate students to think interdisciplinarily and thus beyond their own "specialist area". The high quality of the respective teaching activities is also included in the evaluation. The award is intended to improve the start-up requirements for the excellent career development of young researchers. Core group leaders and graduates are eligible for the proposal. The winners will receive a prize of up to EUR 25,000 as well as a certificate at the BioSC Forum. The competition takes place within the framework of the NRW Strategy Project BioSC. In this year, the Supervision Award 2018 goes to the young researcher Dr. Anita Loeschcke. Dr. Loeschcke is a member of the Institute of Molecular Enzyme Technology of the Heinrich-Heine-University Düsseldorf and is the leader of the BioSC FocusLab CombiCom. Dr. Loeschcke was nominated by three ofher current PhD students and the nomination was supported by a couple of recommendation letters of former PhD students. Thus, because of her excellent and committing engagement for the interdisciplinary training of her PhD students, the referees decided to grant Dr. Anita Loeschcke this year’s Supervision Award. She received the award, which is endowed with 25.000 €, during the 5th BioSC Forum. The BioSC office cordially congratulates on the granted award. The development and implementation of a sustainable bioeconomy requires new interdisciplinary and transdisciplinary approaches in which the training of young scientists plays an important role. 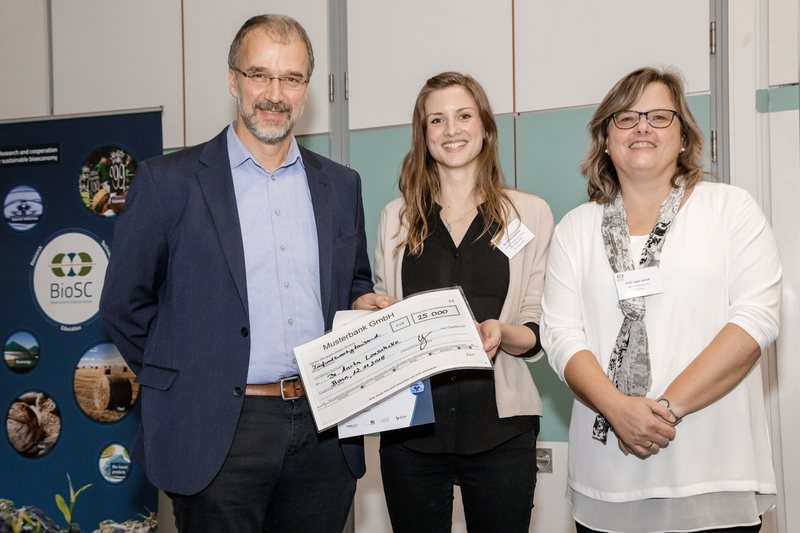 With the BioSC Supervision Award, the Bioeconomy Science Center (BioSC) is thus awarding young scientists for special achievements with regard to the quality of their supervision of doctoral students in the BioSC Core Groups. 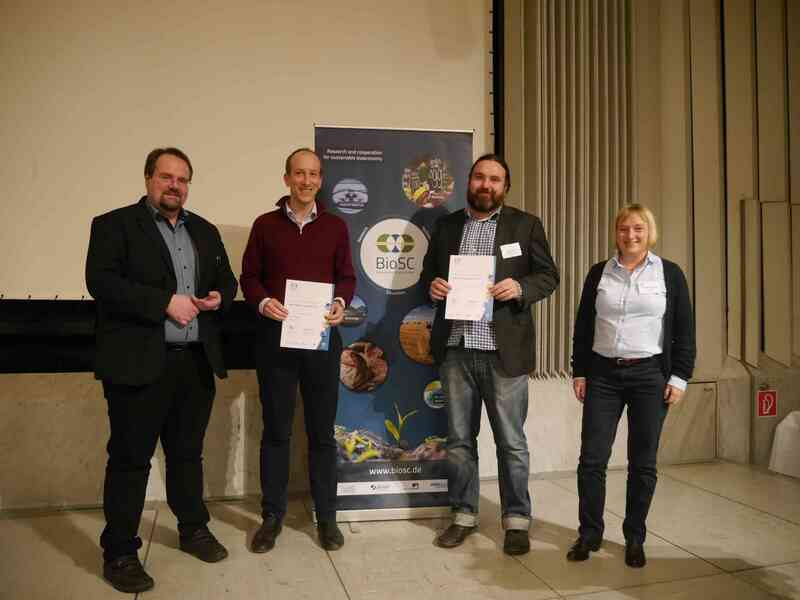 The award  will be granted within the framework of the NRW Strategy Project BioSC. The applications are evaluated based on scientific excellence and the quality of supervision by an expert panel. The award is intended to improve the starting conditions for an excellent career development of young scientists. In case of equal qualifications and performance, young female scientists will be preferentially awarded. The use of the fund is subject to the requirements of a project funding according to LHO. Proof of expenses for staff (for example, postdoctoral position after end of doctoral studies under supervision of the awardee), conferences, travel expenses, ,materials and consumables.